Here do we select what format to create. 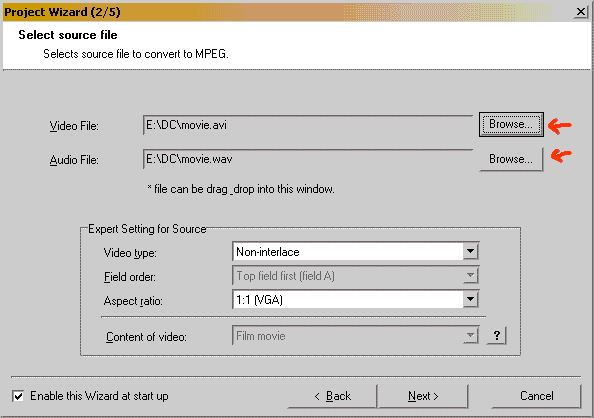 VCD, SVCD or DVD and PAL or NTSC(NTSC Film). NTSC is the format standard in USA and Japan and PAL in the rest of the world. But many DVD Players and TVs support both NTSC and PAL standards so you should be able to make both. 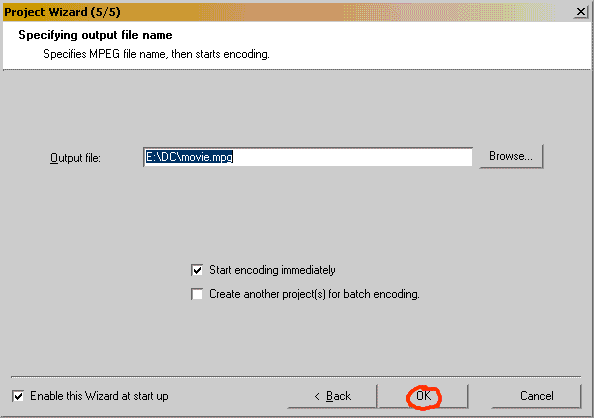 If your DVD Player or TV does not support one standard, then choose your countries standard whatever the source video is (but it is always best to convert to the same standard as the source video or else you will get jerky playback, read more about NTSC to PAL or PAL to NTSC here). Here do we select the source video and audio. 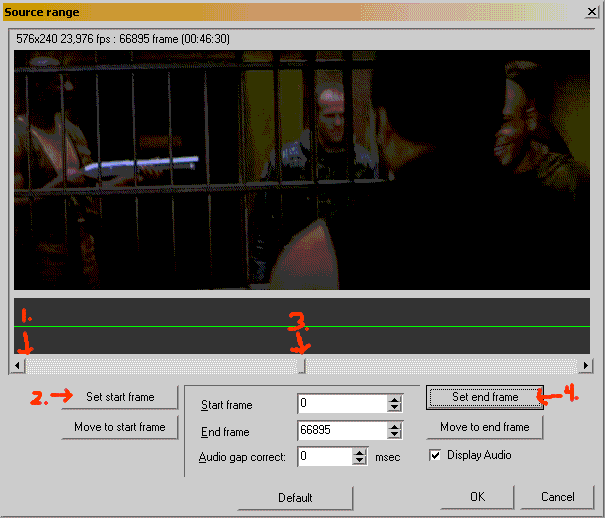 Here we can add filters and also select source range and clip the video. If the movie is above 60 minutes as most are you must cut it. Select first the first half and add some more seconds so you will get some overlapping between the CDs. When encoding next part select exact from half to the end. 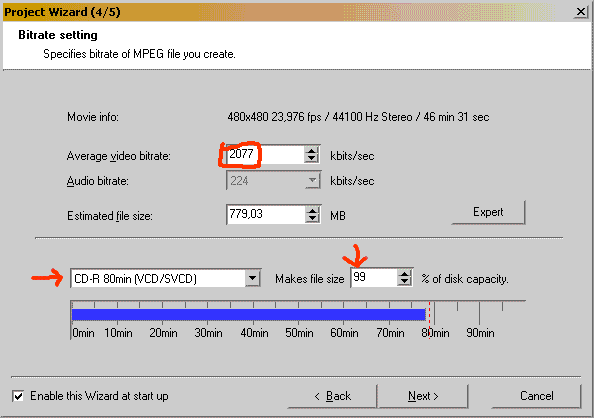 Here do we specify on what media we are going to store the video on, on a 74 min CD you can almost store 740 MB SVCD video on. 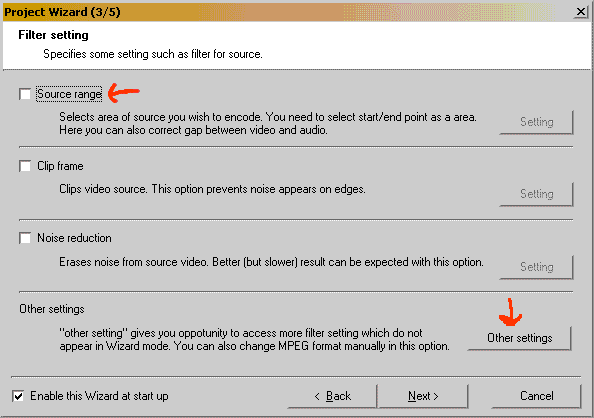 Bigger file means higher bitrate which means higher quality. Select CD-R 74min or 80min depending on what media you are going to burn on. 80min means of course a bit higher quality. Select 99 % of disk capacity to be sure it fits. 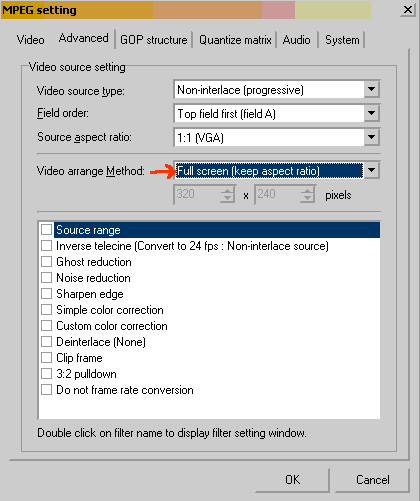 The average video bitrate should not go below about 1600 kbit/s if you want to have good SVCD quality but you could of course try with lower and you will then fit more video / CD. Now you are ready to burn it to SVCD.